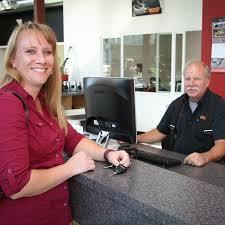 Are you looking for an auto mechanic in Woodinville? Well, we would like to meet you. Long’s Car Care Center has been in Woodinville for over 30 years. We are family owned and operated. We work on just about all makes and models, except for some of the high end exotic brands. Our mechanics are all ASE Certified, plus we are a state licensed emission repair facility. We treat your vehicles as if they were our own. All of our inspections are digital, so that we can send them to you either via text or email. They include pictures and videos, so that you can see what we are seeing. We invite you to come to the shop and meet us and our staff. We would be happy to show you around the shop so you can see how we operate. We hope to meet you soon. “Why is my steering wheel crooked or off center?” When was the last time you had a certified mechanic inspect your suspension for worn parts? When you bring your vehicle in for any type of service we always inspect your vehicle’s suspension and steering parts. If everything is fine and there are no parts issues, we would then recommend having an alignment done. This would straighten out your steering wheel, and also prevent uneven wear on your tires, which would mean replacing them sooner than necessary. It always very important to get your vehicle aligned after purchasing new tires. If you have any questions and are in the Woodinville area, please stop by or give us a call at 425-481-1739 and we will be happy to help you. The weather is getting warm, and you don’t want to be leaving your pet or your child in your car. 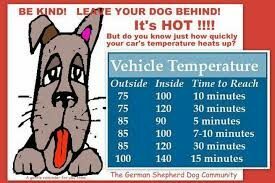 Once the temperature starts hitting the 70’s it can be dangerous, and even deadly to leave any creature or human in your vehicle. It’s hard to imagine how quickly it can heat up inside your vehicle, with the windows up and no breeze. It can happen very fast, and sometime those quick stops, can become longer that you intended, and can turn into a tragedy. So during this time of the year, leave your precious pets at home, and bring you children into the store with you. Did you know that we do Free Vehicle Inspections? We do a free vehicle health assessment everytime your vehicle is at our shop. We want to make sure that your fluids, belts, hoses, brakes, suspension, and exhaust system are in tip top shape. These inspections are then emailed to you so that you can see what we have found. We take pictures of any issues we may find, plus on the report there are links to videos, so that you can learn more about how your vehicle functions. After we send it to you, we give you a call, to answer any questions, and to also provide estimates for any needed work. 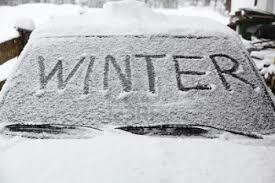 If you would like a FREE Vehicle Health Assessment, just give us a call, and we will set up an appointment for you! How much does a tune-up cost? That is one of the hardest questions to answer, and we get asked this several times a week. 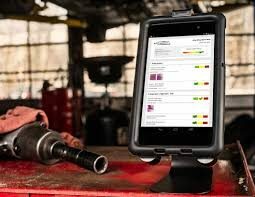 Vehicles have changed so much in recent years, all of the computers, sensors, injectors, spark plugs, wires, and other variables, that can affect the runnibility of your car, there is no way for us to give you an accurate cost until we can inspect your vehicle. If you have a check engine light on, we will need time to diagnose that, and then go from there. If your vehicle is running rough, with no check engine light on, we will need to inspect your plugs, wires, and fluids to see what the issue is. If you are having runnability issues, please give us a call at 425-481-1739, and we will get you in as soon as possible.